I’ve just upgraded my old light box for a much larger version which is going to be fantastic for carrying out many of my paper repairs. 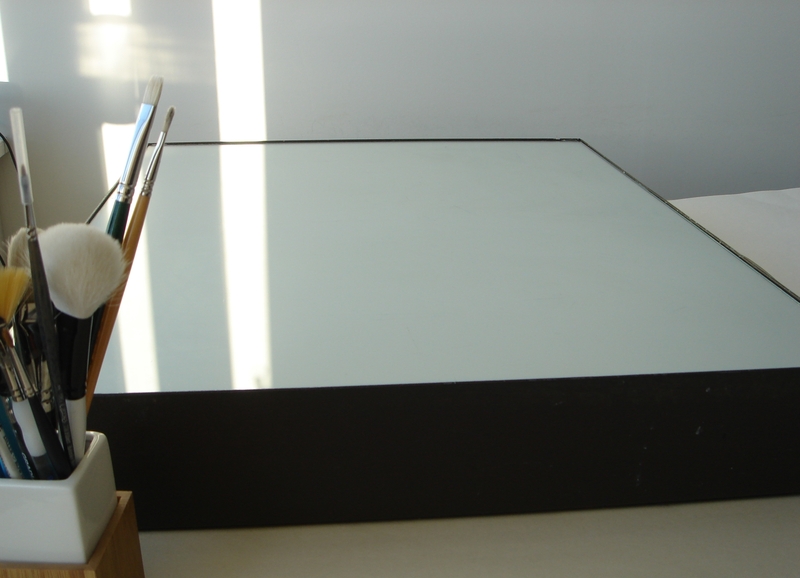 To be suitable for paper conservation light boxes need to meet several requirements such as having a firm glass surface to work with no flex; wet treatments need to be carried out in safety and daylight flourescent lights must create an even light with no hot spots which can be very damaging to the paper. Light boxes help every crack and tear in paper to show vividly. 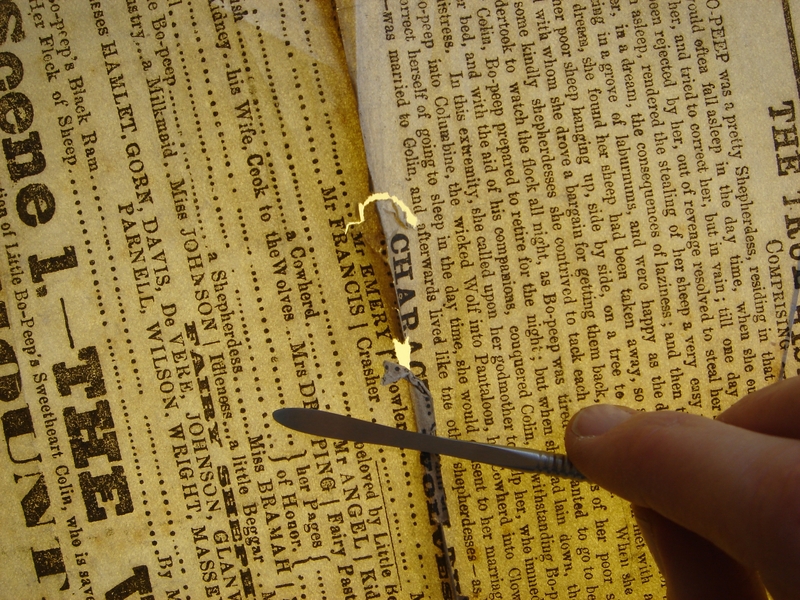 As they emphasise the directions of the fibres within a tear, they often help a conservator to make a really accurate and unobtrusive repair. The giant new light box, (photographed in very rare late afternoon sun)!